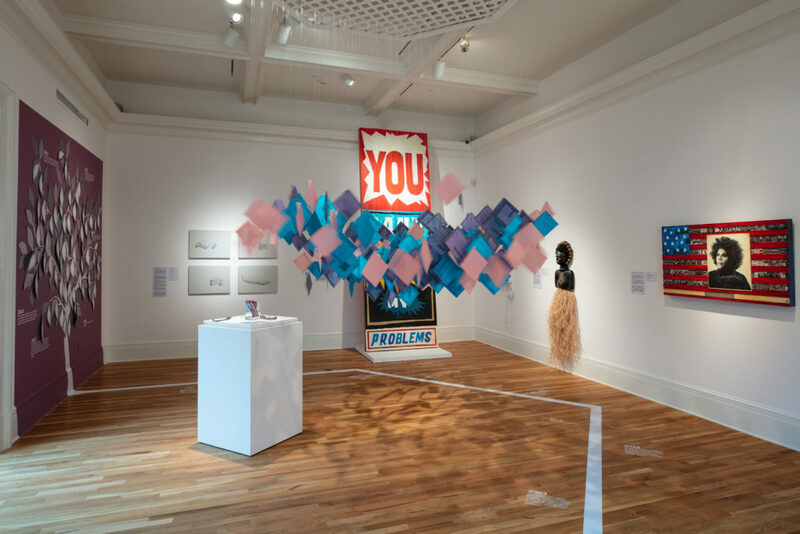 This will be the first in a series of three exhibitions at the Newcomb Art Museum exploring mass incarceration from a sustained point of view over the next decade. 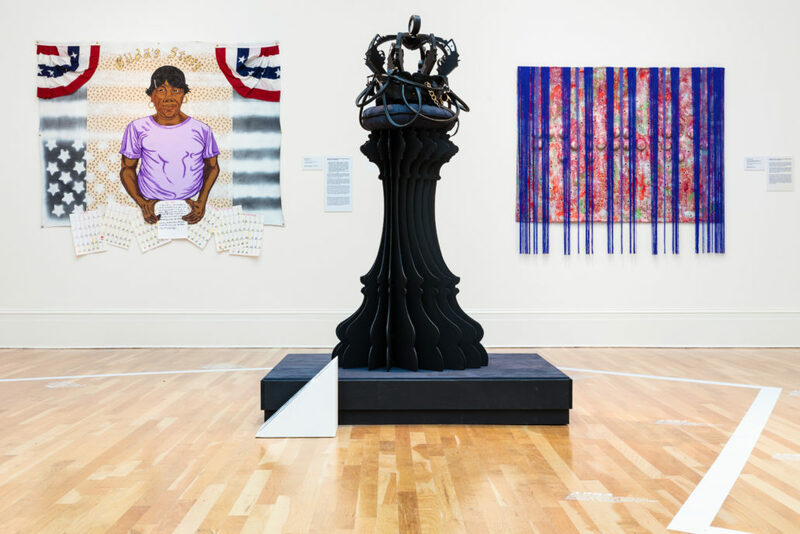 The exhibition at Newcomb will coincide with several city-wide programs, lectures, and opportunities for service that will inform and educate the community of the issues surrounding the criminal justice system. According to the Pew Charitable Trust, Louisiana’s prison population peaked in 2012 at roughly 40,000, a fivefold increase since the late 1970s, growing much faster than the state’s overall population. Even with a reduction of 9% from 2012-2015, Louisiana still had more prisoners per capita than any other state and nearly double the national average. According to a report from Prison Policy, a Massachusetts-based research organization, Louisiana has the seventh-highest rate of incarcerated women in the world with 198 out of every 100,000 women in the state behind bars. 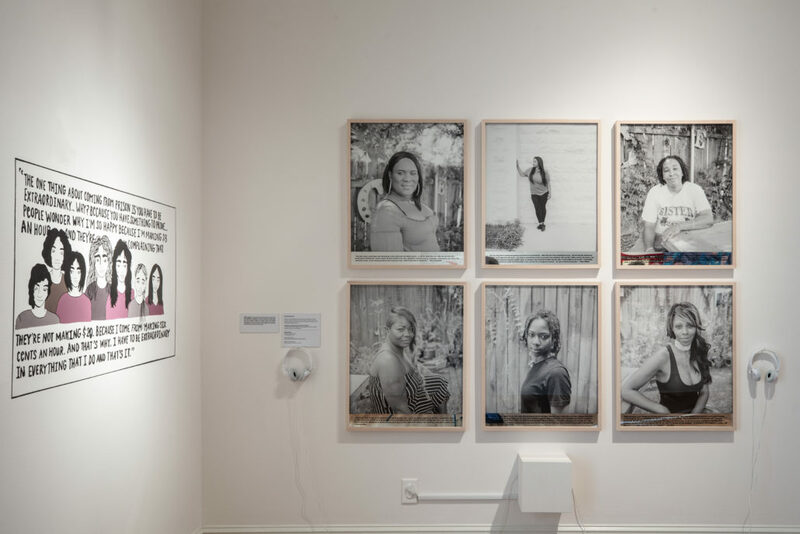 The Sentencing Project estimates that the rate growth for female imprisonment in the US has been twice as high as that of men since 1980 and that more than 60% of women in state prisons have a child under age 18. In the fiscal year 2017, Louisiana Governor John Bel Edwards and Department of Corrections Secretary James LeBlanc called for reforms that would “reduce the state prison population significantly” which highlights that prison reform is a need recognized at the highest level of the state. 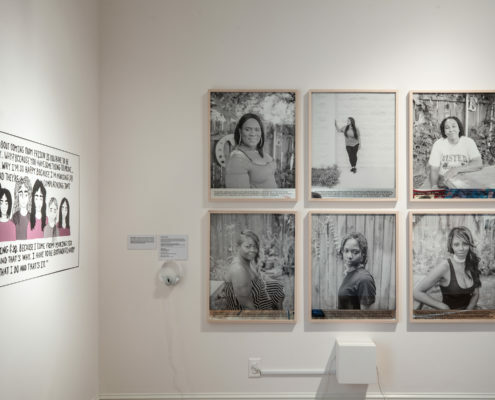 This is the current social and political climate of Louisiana regarding this issue, the data is there but the faces and complexities of the individual stories are missing –a need our exhibition, through the works of these socially engaged artists intends to address. 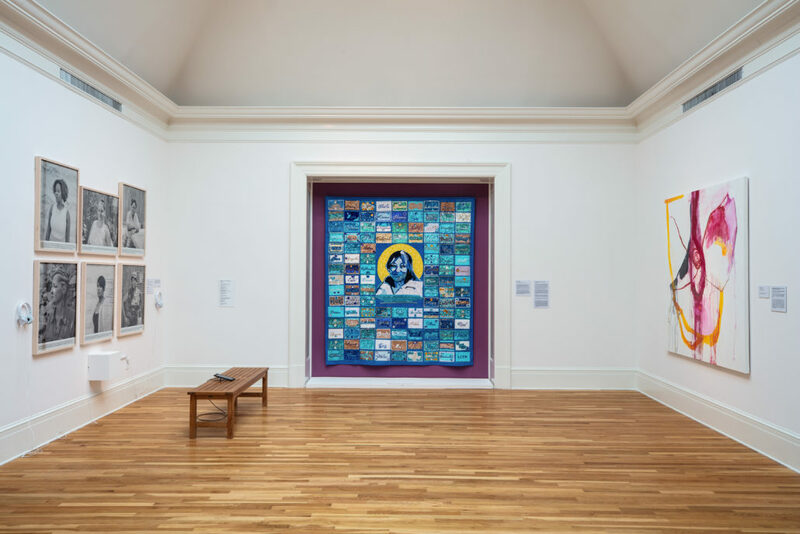 The Newcomb Art Museum of Tulane University builds on the Newcomb College legacy of education, social enterprise, and artistic experience with a focus on the contributions of women and matters of social justice. Per(Sister): Incarcerated Women in Louisiana explores one of the most critical issues affecting our immediate community, mass incarceration. 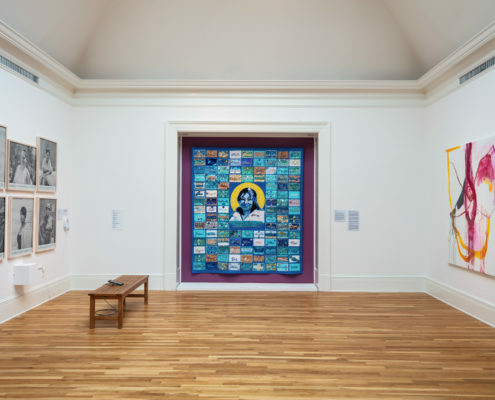 In particular, the exhibition will explore the specific ways in which incarceration affects women and the impact this has on their communities. 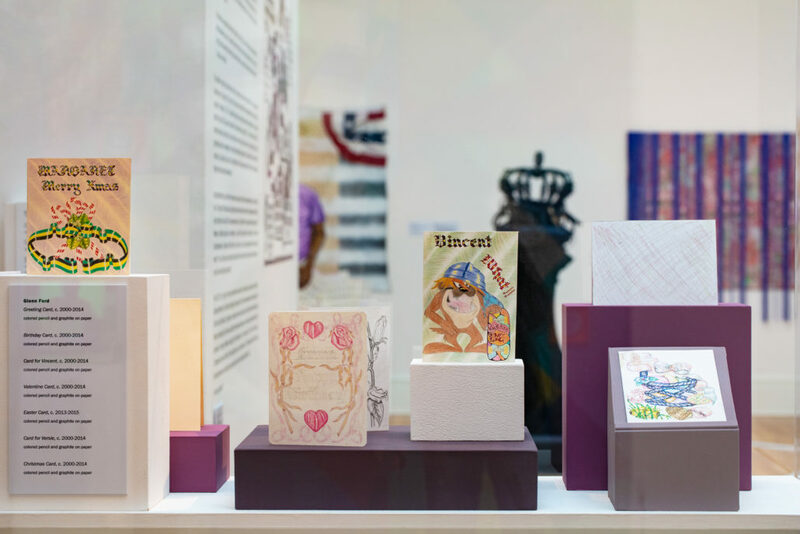 Per(Sister) will deploy the virtues of art as a benign and uplifting vehicle of communication to share the diverse stories of formerly and currently incarcerated women. 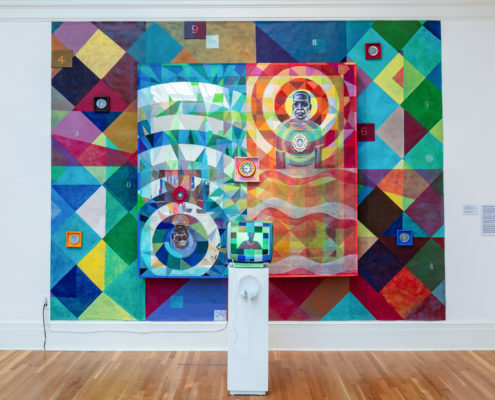 Newcomb hopes to appeal through the senses and the power of storytelling to informally educate visitors on matters of our criminal justice system, the prison-industrial complex, and the current initiatives seeking their reform. 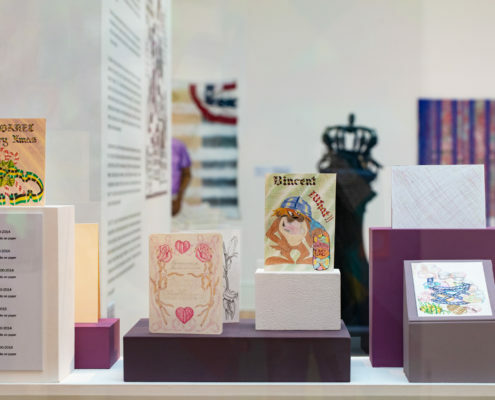 Developed in partnership with formerly incarcerated women, the content of the exhibition addresses some of the most prevalent concerns for the women, from their own, well-informed, point of view. 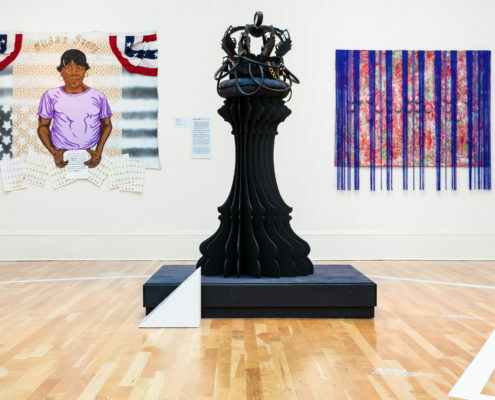 Participating individuals such as artists and community organizers hope to create change every day, each in their own way, by raising awareness, challenging negative stereotypes, fostering empathy and compassion, building community, and the understanding that social development relies on opening someone’s mind to move forward together. 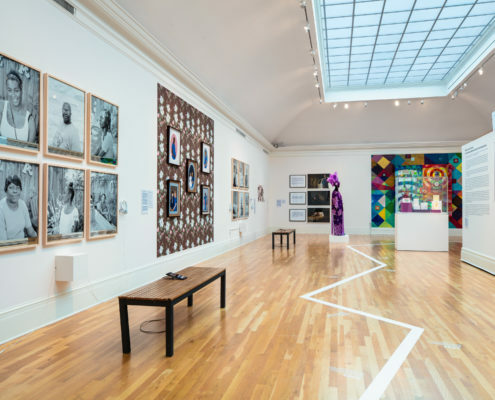 The intent of this exhibition is to begin a conversation with those who want to know more and to direct them towards resources culled from a diverse range of exhibition partners and experts including women who were incarcerated, invested community organizations, stakeholders, service groups, and Tulane faculty and students. 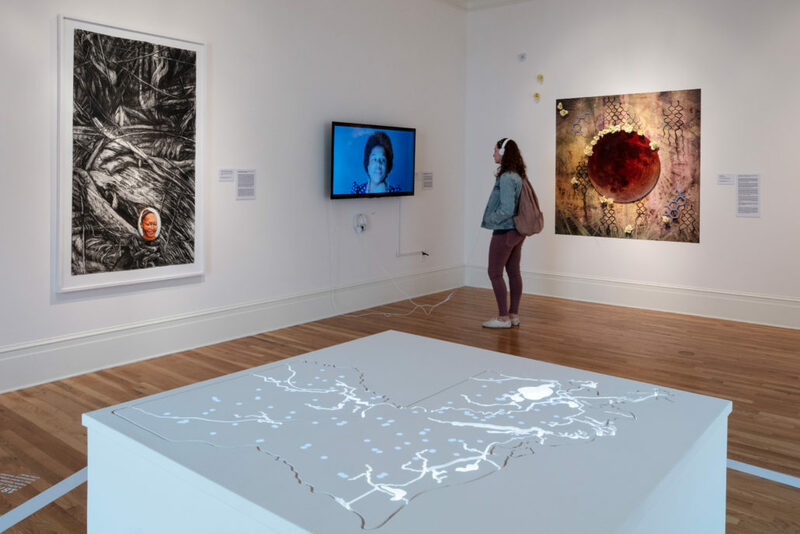 We envision the museum as a space in which information is made available, conversation is facilitated, collaborative relationships are established, and community sentiment is built. To unpack and understand the complex reality of the carceral system in the United States requires the contribution of many different voices. 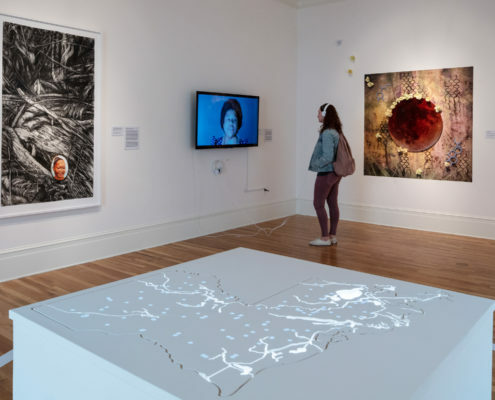 This exhibition seeks to engage as many of those voices as possible, while providing visitors with the tools needed to dive deeper, make educated decisions, and, if so inclined, take action. 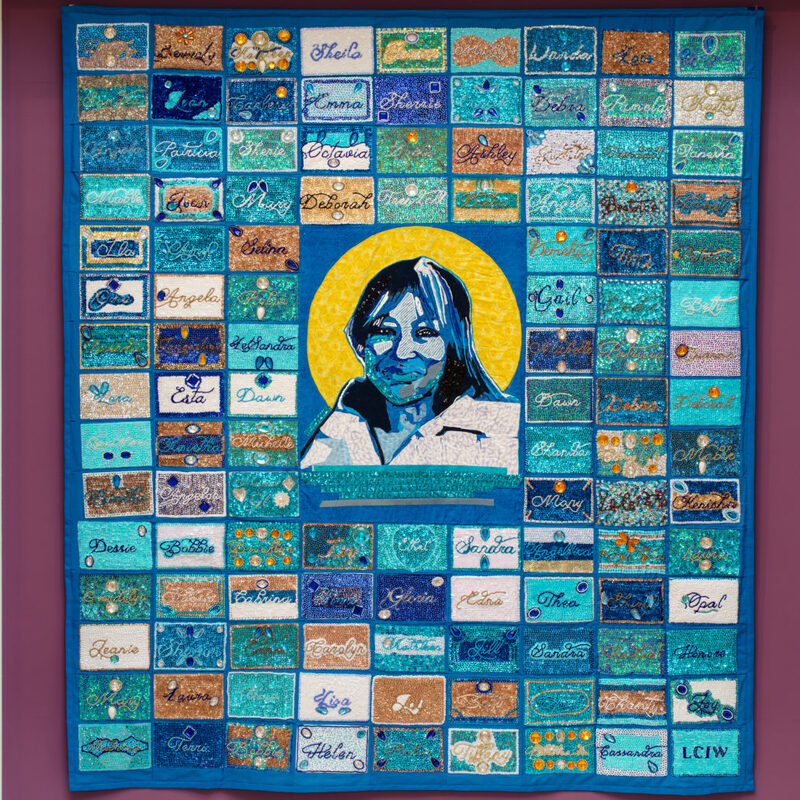 (Image Above) The Life Quilt, 2018, featuring the names of 107 women serving life sentences in 2017 in Louisiana. 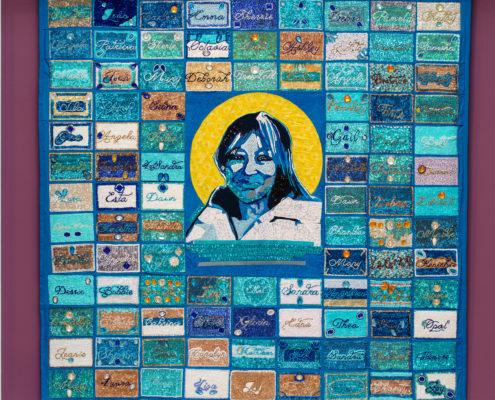 Beaded by Black Masking Indians, portrait painting by Brandan ‘BMike’ Odums and sewn by Louise Mouton Johnson. Produced by The Graduates, co-created and co-sponsored by ArtSpot Productions and Kumbuka African Drum & Dance Collective. The Graduates are Robert Rauschenberg Foundation Artist as Activist Fellows; and supported in part by grants from The Andrew W. Mellon Foundation and the Alternate ROOTS Partners in Action Program, made possible by support from Nathan Cummings Foundation, Ford Foundation, National Endowment for the Arts, Andrew W. Mellon Foundation and Surdna Foundation. 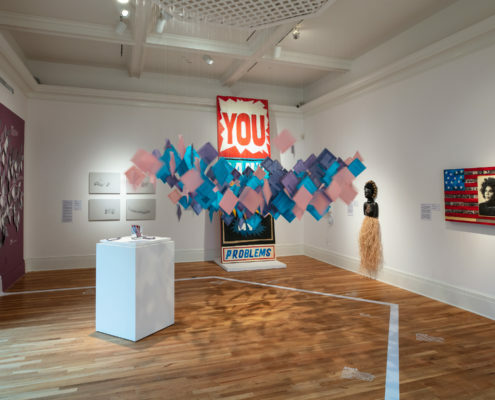 There are several opportunities for sponsorship for this exhibition. 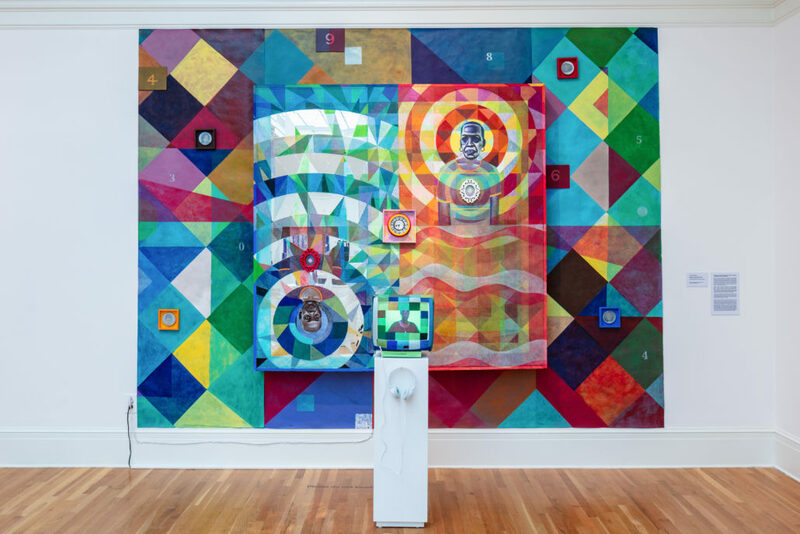 From supporting educational workshops and tours for Orleans and Jefferson parish students to providing funding for public engagement programs to underwriting artist performances and lectures, you can be involved no matter your budget! 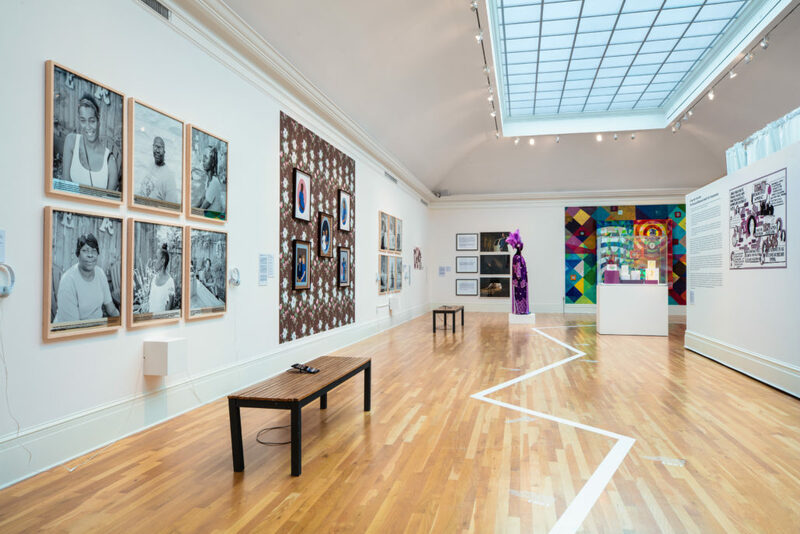 Reach out to museum@tulane.edu today to learn more about how you can support this incredibly important exhibition and make sure it reaches the greatest number of people possible.